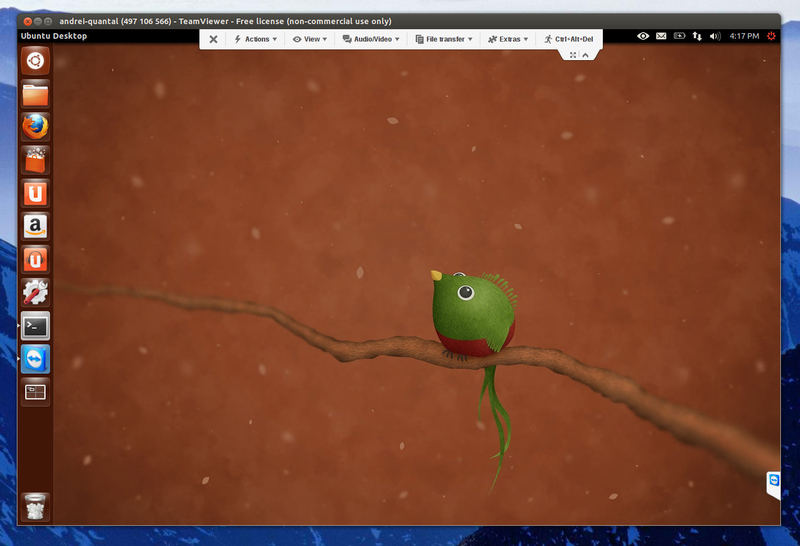 The Linux version uses Wine which comes bundled with it (it doesn't require the user to install Wine, like the old Picasa for Linux package), so it's not a native Linux application. 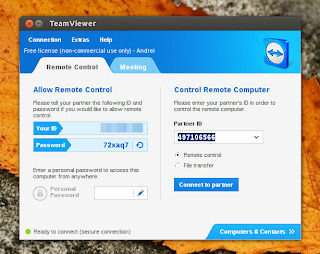 The latest TeamViewer 8 (stable) for Windows was released back in December and today, the stable version is also available for Linux. 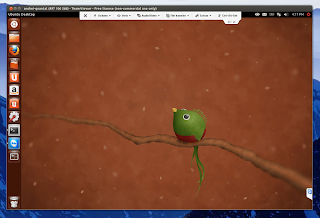 While in beta, there were two bugs that affected for many users (myself included) until recently, which resulted either an "TeamViewer Daemon is not running. Please start teamviewerd and then restart TeamViewer" error message or a ghost window showing up. But these issues seem fixed and TeamViewer 8 for Linux has worked properly in my tests under Ubuntu 13.04, 12.10 and 12.04. 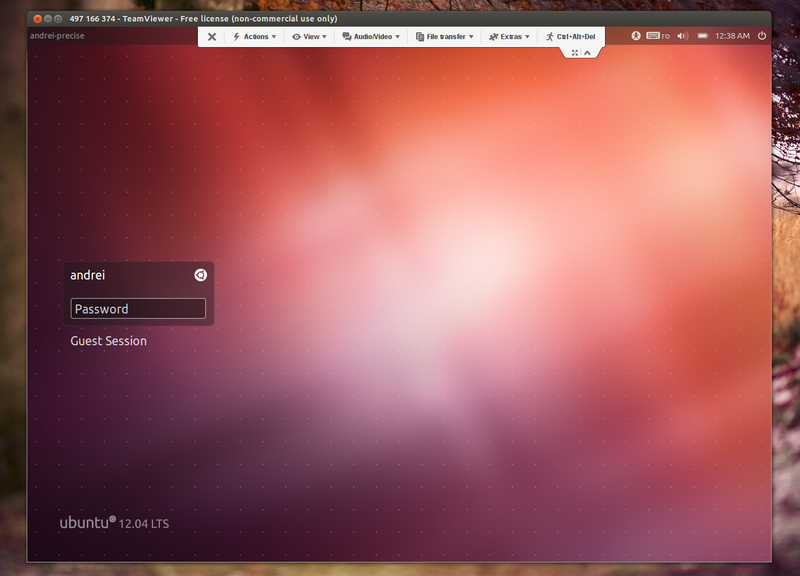 I'm not sure if these issues were present in other Linux distributions and if they were fixed or not. Upgrading to the latest TeamViewer 8 is required if you want to establish a remote connection to a computer running TeamViewer 8, however, this is not neccesary if you want to connect to a computer running TeamViewer 4, 5, 6 or 7 if you're using TeamViewer 7. The most important change in the latest TeamViewer 8 for Linux is probably the addition of a daemon, which makes it possible to connect to a Linux computer on the login screen (so no user has to be logged in to be able to share that computer's desktop with TeamViewer). However, this feature didn't work most of the time in my tests running TeamViewer 8 in Ubuntu and trying to connect to other Ubuntu systems using TeamViewer 8 but it might have something to do with VirtualBox because connecting from my Android device to my Ubuntu 13.04 computer has worked pretty well. To use the new feature that allows you to connect to a Linux computer on the login screen (meaning there are no logged in users on the remote computer and only the login screen has loaded), you'll need to set up a password for unattended access. To do this, open TeamViewer 8 on the remote computer, and click the "Personal Password" field on the main interface, then follow the instructions. Then copy the computer ID and you can log out the remote computer. Now, to connect to the remote computer in which no user is currently logged it, you can launch TeamViewer 8 for Linux on your system, enter the remote (Partner) ID - you'll then be prompted to enter the password you've set up above and you're ready to go. Arch Linux users can install it via AUR. Note: if you've previously installed TeamViewer 8 for Linux and it doesn't start, purge it ("sudo apt-get purge teamviewer"), then download and install the latest version.